Northern city of Taiyuan may not be among the biggest or most prosperous, but with governmental help it received a new international-standard sport hub. 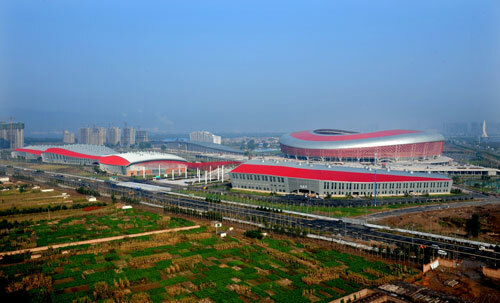 The complex was created on 82 hectares in a new southern district of the city. 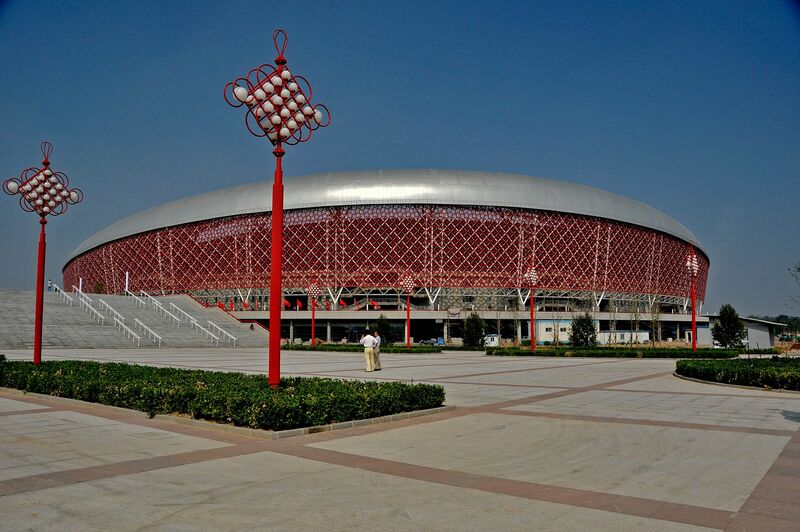 Design was created in 2007 and filled the area with red and white (actually grayish) ‘ribbon’ shapes. 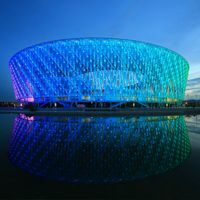 These two colours chase one-another on the exterior of both the central 62,000-capacity stadium and secondary arenas for various disciplines. 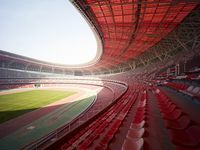 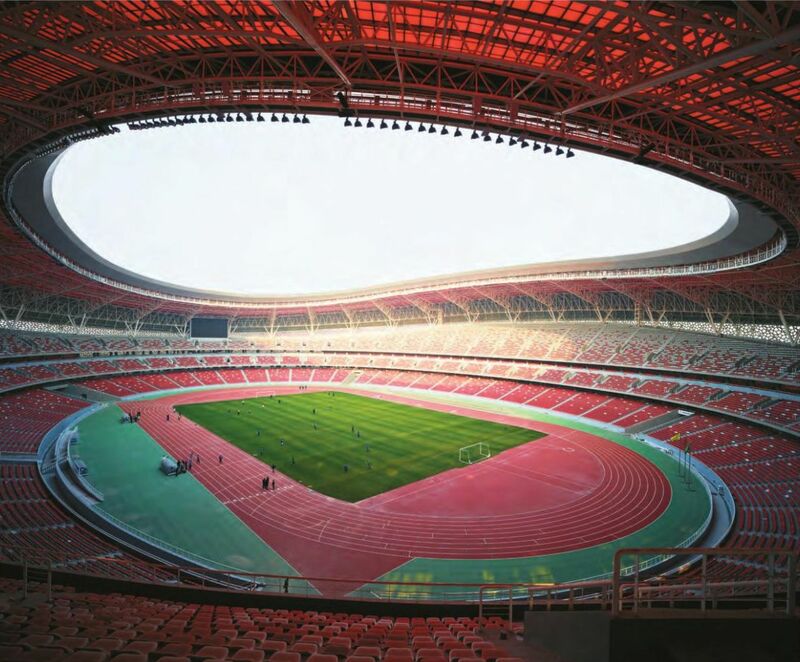 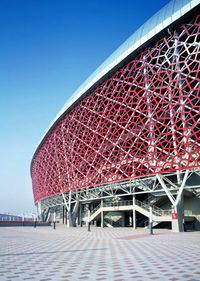 The main stadium, according to its creators, is shaped to mimic a traditional Chinese saddle. The exterior was divided into three zones. 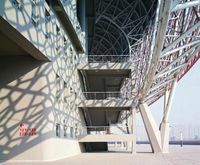 First from pedestrian’s perspective is the perforated red web, shading, but not hiding the infrastructure. 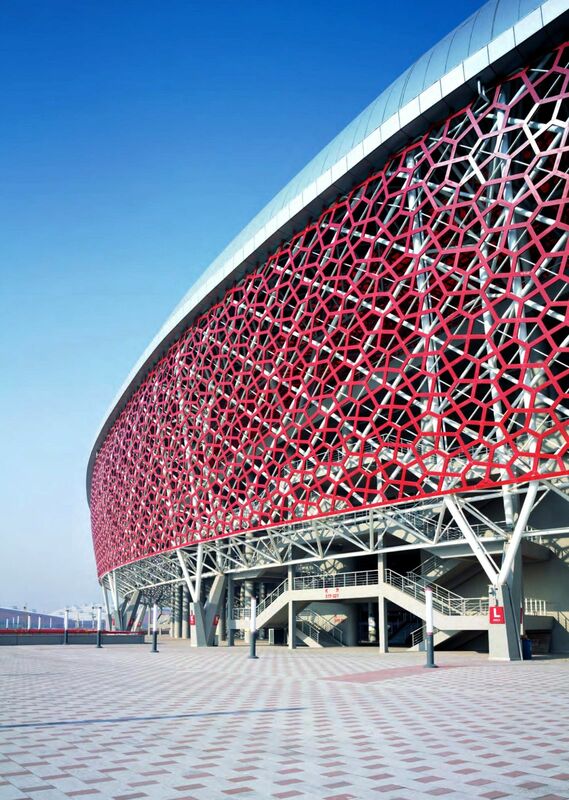 Then a wide ring of metal sheet encircles the roof’s outer edge. 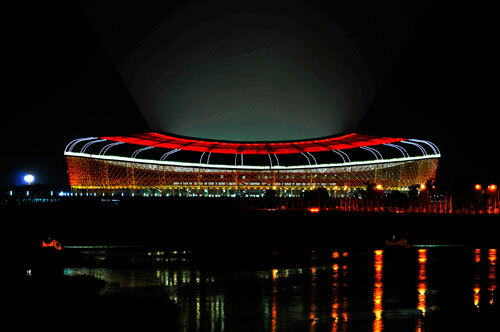 And finally, the roof is covered in red glass. 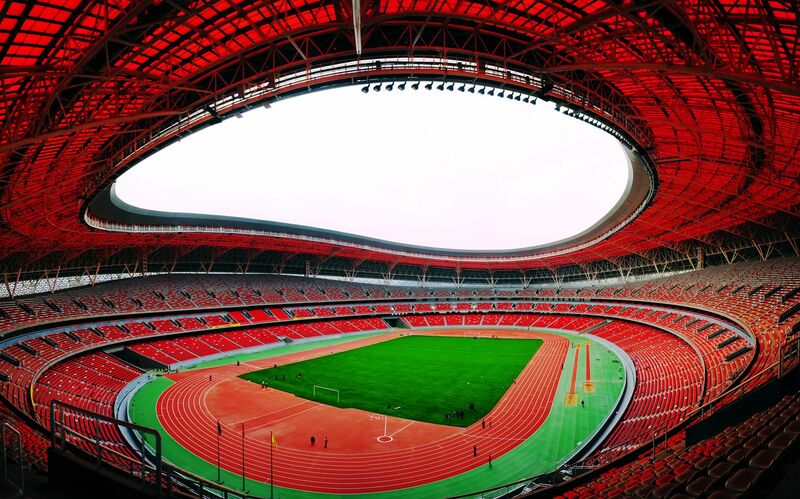 This strong colour (symbolizing happiness for the Chinese) gets bright red light inside by day and floods the area with red once the stadium lights up at night.